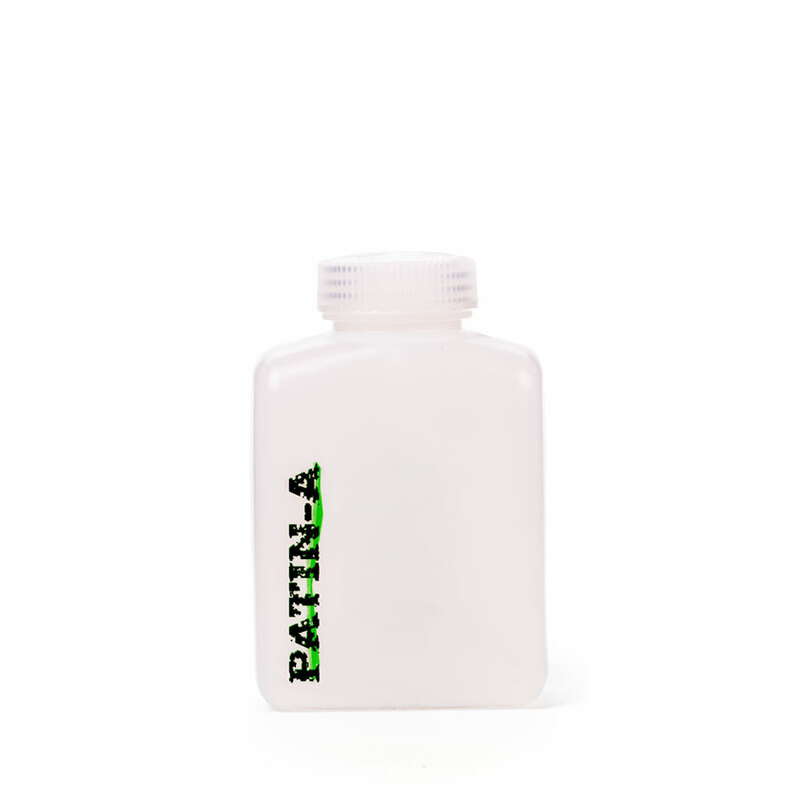 Product information "PATIN-OIL neutral - Distressing Oil"
With the neutral PATIN-OIL you can easily create sweat stains on shirts, T-shirts, sportswear etc. It can of course also be used to simulate sweaty hair. The advantage being that PATIN-OIL does not dry in the sun or in the spotlight. That makes it ideal for scenes where sweat has to remain visible over a longer period of time. PATIN-OIL contains unperfumed oils also used by the cosmetics industries. The oil is best applied on the clothing with a cloth or sponge. 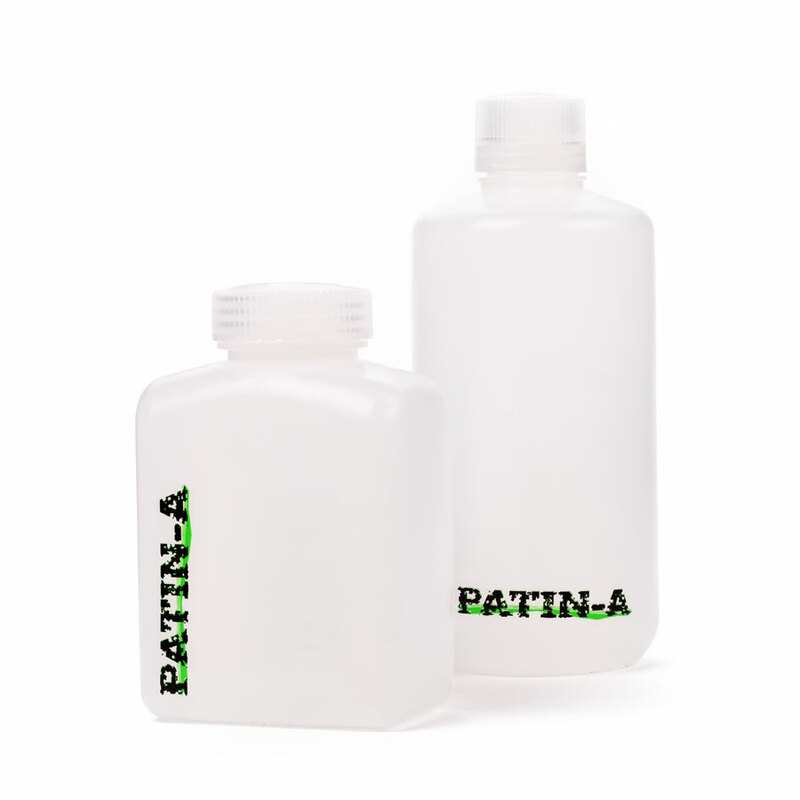 PATIN-OIL can easily be washed out. As always: For delicate materials or costly costumes, test beforehand on an inconspicious area. Furthermore, this oil can also be used for increasing and intensifying patinations. A cloth dipped in PATIN-OIL is the perfect aid to rub PATIN-POWDER into the fabric. Creases and seams will be particularly highlighted. PATIN-OIL - neutral is also perfect for scenes where blood is realistically depicted. A bleeding painted on a costume can be moistened fast and easy with PATIN-OIL, so that the blood will appear fresh and non-coagulated. You can thus achieve a lasting, authentic and very low-cost blood effect. 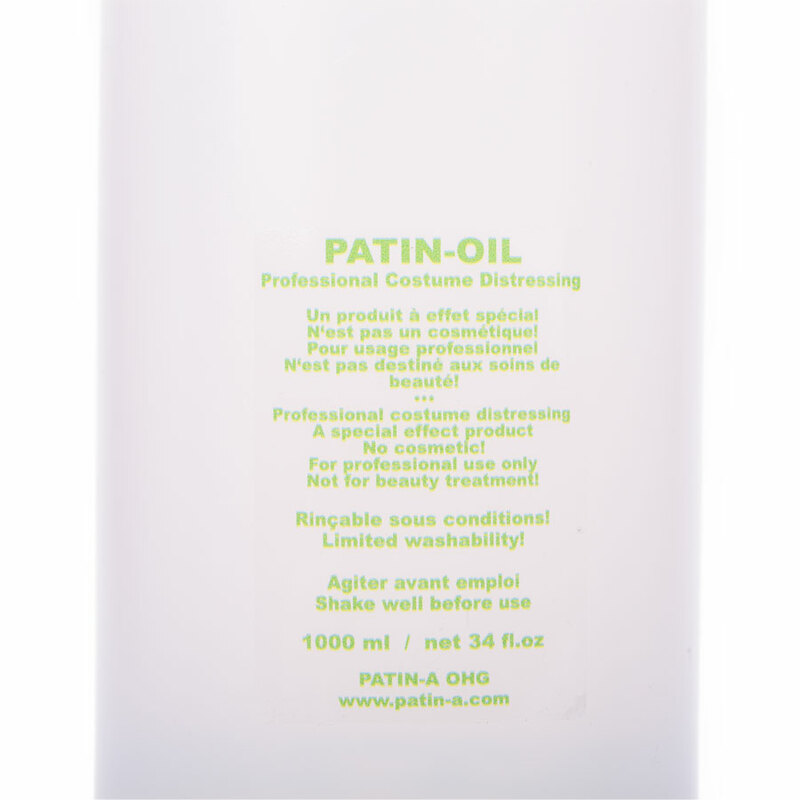 Related links to "PATIN-OIL neutral - Distressing Oil"
Customer review for "PATIN-OIL neutral - Distressing Oil"